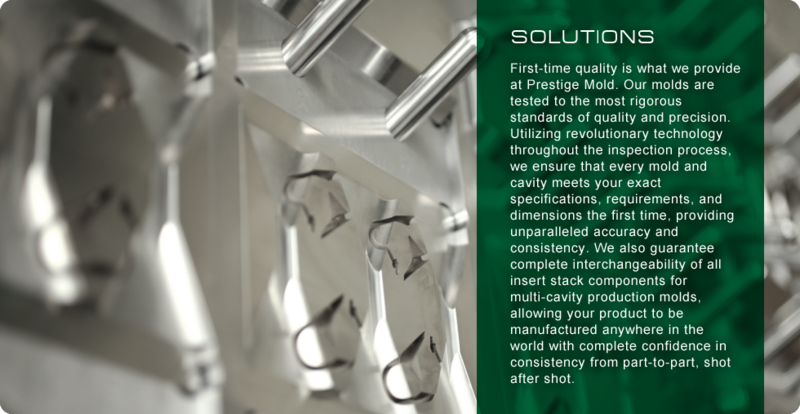 For generations, Prestige Mold has been the global manufacturing leader of the highest-quality, competitively-priced precision injection molds. Supported by revolutionary technology and expert personnel, our success sets the standard for mold manufacturing excellence. Our commitment to superior service, absolute quality, flawless design, and incomparable products allows us to form long-term, dynamic partnerships. Our clients benefit from optimum manufacturability at lower overall costs. 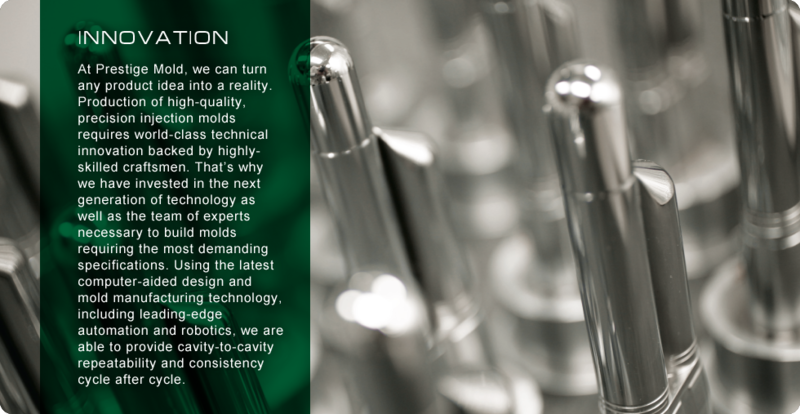 There's no doubt that our performance in providing design, manufacture, and testing of precision injection molds and turnkey system solutions is unmatched. 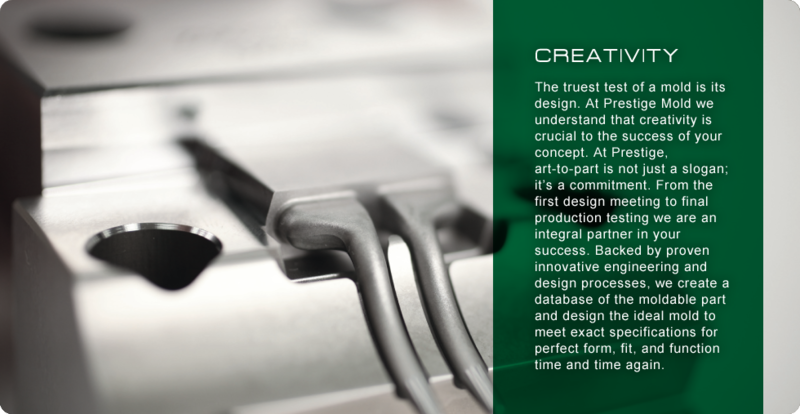 As an integral partner in the process from concept to creation, it is our promise to make you successful. Art-to-part is merely a buzz word at some companies. 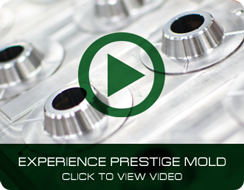 At Prestige Mold, it's our business model. Through our innovative engineering processes and use of 3D modeling software, Prestige Mold turns ideas into reality. 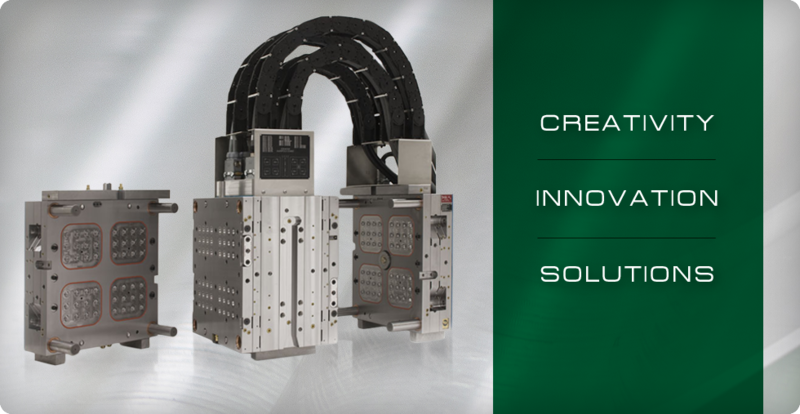 We provide unique solutions to clients looking to reduce the unit cost for mature products by implementing the next generation mold manufacturing technology, including automation and robotics.